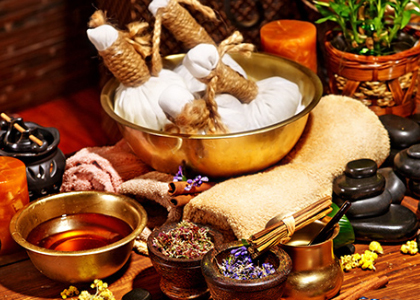 Panchakarma – detoxification, purification and rejuvenation of mind body soul. Panchakarma is a deep cleansing program that involves Ayurvedic detox diet, herbalized body therapies and elimination procedure. It is a one of the superlative approach to address and eliminate the root cause of disease and has been a method for thousands of years to stay healthy, young and vital. Vaidya Meenakshi is a gold medalist and is a highly accomplished Ayurveda and Panchakarma (DETOX) Specialist. She has been practicing Ayurveda for the last 20 years. She knows first-hand what a difference it can make on one’s wellness by simply understanding an individual’s unique body type and making small simple changes to one’s diet and lifestyle. She addresses the root cause of an individual’s imbalance using evidence-based science along with diet and lifestyle changes to help regain and maintain optimal health.
" 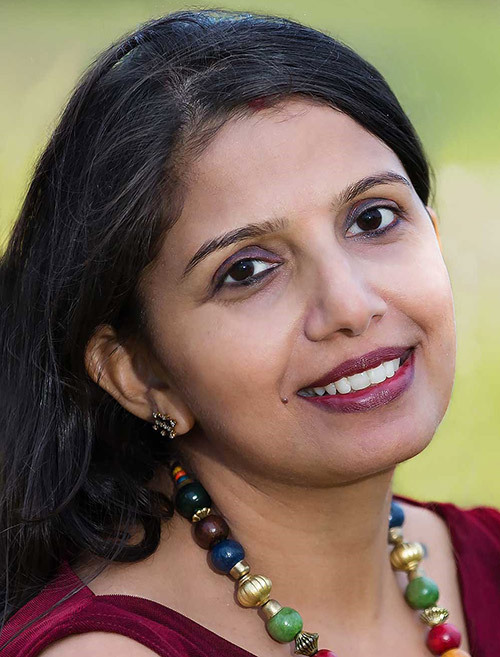 Meenakshi embodies the calm patience, compassion and knowledge of a true Ayurveda practitioner. She is very thorough in her investigation and explanation of the situation in hand. I enjoy every session with her. I will recommend her to all my friends and family. " 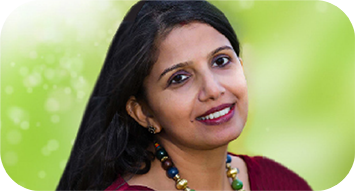 " Meenakshi is the best Ayurveda Practitioner in the DFW area and beyond. She is immensely knowledgeable and has the right solution which really works. She is extremely professional. " " Meenakshi is the most knowledgeable Ayurveda Practitioner I have come across. She is very calm, compassionate and treats clients with most care. Her professionalism is outstanding! She is absolutely great! " " I would like to thank Meenakshi for providing good Ayurvedic care. She is very. Knowledgeable. She is able to help elderly parents, middle aged, kids, and babies. She is patient and answers questions and explains things very well. We are grateful and have also heard good things about her from our friends. Thank you "
" After going with all the western medicines for my skin issues, someone from our friend circle suggested to try Ayurveda with Meenakshi Gupta. During first visit itself we found her very knowledgeable and caring. She answered all my questions and gave some excellent suggestions on diet, lifestyle that helped in improving my skin condition. She is always willing to help and kept in touch as to how I am progressing. I will continue to consult her in the future as well. Highly recommended. " " I was really impressed by the way Meenakshi helped me with my stomach issue. The recommendation she provided was very basic, which we often overlook, and it helped me a lot. She is a very good listener and was very patient all along with me. " " Patience, persistent and perfection” that defines Vaidya Meenakshi!Vaidya Meenakshi doesn’t just work on your issues for immediate relief but sets you up for long-term good health. I have been to many docs who gave me a lot of drugs to help me with my neck pain! Dr. Meenakshi not only helped me with experienced herbs and simple exercises but her “miracle hands” helped reduce the pain to a manageable extent. Her diagnosis, treatment and massages are well crafted to suit your needs and she changes them based on the follow ups.She is highly approachable, considerate and caring. I highly recommend her. She is fantastic! " " I’m so grateful to have found Meenaskhi. She is very kind, caring and truly a professional. She loves to help people with different ailments and likes to improve lives of people. I have seen her for many different services and all have been the best. My abhyangya and potli swedan was so gentle and had a healing touch because I suffer from chronic pain& fibromyalgia. She really listens to her client’s needs and provides the very best of care. You will be with the best Meenakshi who goes out of her way to helping people feel their best! Thx Meenakshi so much! " " I struggled with a sinus infection for 2 months and with 2 different antibiotics with no luck. I came to Dr. Gupta and followed her guidelines and advice and within 3 days my infection started clearing up. It helped so much that I decided to make it a permanent part of my life. Along with the sinus help all the inflammation in my body has gone down, I even lost inches off of my waist and my energy level stays even and strong. I fully believe in her methods and highly recommend coming to see her! " " Meenakshi is one of the most knowledgeable Ayurveda Practitioner I have come across. She is very calm, compassionate and treats clients without most care. Her professionalism is outstanding! She is absolutely great! She comes highly recommended. Give her a call for consults. She specializes in Ayurveda Consults and issues related to aches and pains. " " If you truly want to get a turnaround in your health, there is no better person than Meenakshi (in my opinion) that can suggest the right Ayurvedic herbs and the necessary lifestyle changes. Meenakshi’s advice has benefited each of our family members significantly over the last couple of years, she truly has been God sent for us. And I do hope that this highly recommended review of Meenakshi’s expertise helps other benefit with a more healthy living. The solutions prescribed by her are not band-aids that mask the core problem, but an attempt to revive the core by eliminating the root cause. It does require consistency, patience and highly iterative approach with a continuous feedback loop between the doctor and the patient. Thanks Meenakshi for all you do. "